I’m pretty sure that the idea behind it is all good, but of course as all “great” things, it does not work in this combination. 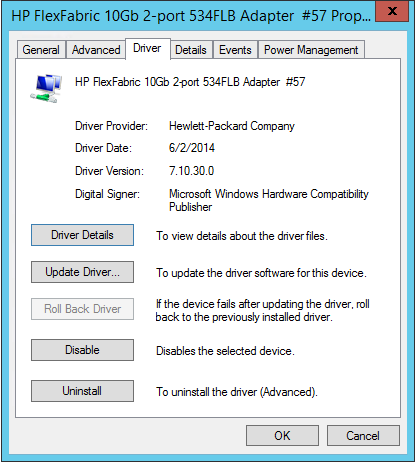 Here you can se the setting that needs to be disabled and you can also see the driver version and date that was in place. 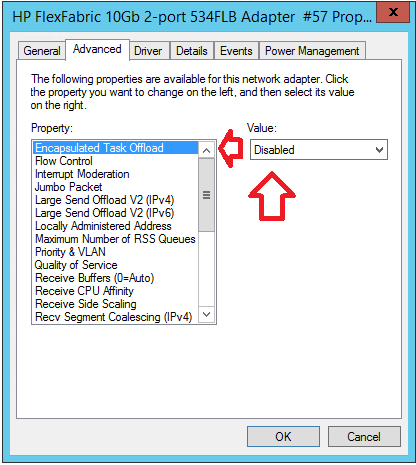 But, if you disable it on every hyper-v host (not only the hosts running the NVGRE gateway), it starts working. At the time we could not find any other solution then to disable it. In this case the customer (and you know how you are) was kind enough to let me post the script that was used to disable this “amazing” technology.